Our products are abrasion resistant and are long lasting in nature as well. 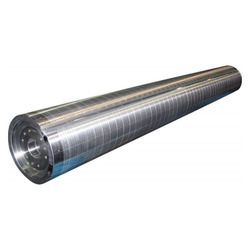 Anilox rollers provided by us are well-known for their quality and durability. These Anilox rollers are fabricated by using qualitative raw material. We are offering wide range of Printing Cylinder. The High Power Print Cylinders required for the narrow web label printing machines, are manufactured to highest International Standards of Precision. And, are most Economic when compared to the International prices. As per the demand of the industry and of our clients, we are engaged in offering a wide and unique range of Print Cylinders For Rotary Label Presses.These are highly synchronized and are offered with unwinding and rewinding stations, which are provided with auto tension control systems complete with load cell feedback. Further, we offer these to our clients in various customized features. We are one of the leading manufacturers and suppliers of Printing Cylinder that are widely renowned for operational fluency and longer service life. Apart from this, we are also offering customized solutions for our clients as per their specifications. 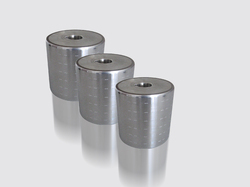 Relying on our expertise in this domain we are into offering Printing Plate Cylinder. Industry defined quality standards are followed by our professionals in developing and designing our provided range of Print Cylinders. U. V. Graphic Technologies Pvt. Ltd.
We are one of the leading manufacturers of Electronic Gravure Printing Cylinders. We are group of professional having 20-30 years fo exprerience in the manufacturing Printing Cylinders. Science 1993, we are caring out machining of various types of Cylinders, which is a heart of the web offset printing machine, which is manufactured by Manugraph India Ltd. Unit No 1 & 2. Length of these components is in between 1426 to 1580 and diameter is 170mm to 185mm. Our company is highly esteemed in providing Paper Printing Cylinder.